A healthy gut helps to maintain a healthy mind and body. Your gut can lead to more than just gas, stomach pain, bloating, or diarrhea when it is unhealthy. Because 60 to 80 percent of the immunity is located in the gut, gut imbalances have been associated with hormonal imbalances, diabetes, autoimmune diseases, fibromyalgia, chronic fatigue, anxiety, eczema, depression rosacea, as well as other chronic health problems. Most people aren’t even aware that something is wrong with the gut bacteria, so the trouble goes untreated. 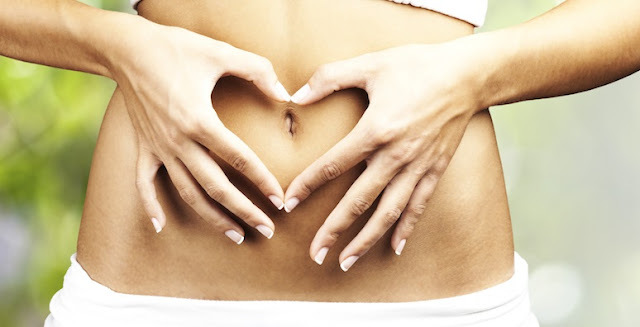 Knowing the unhealthy gut signs will help you to identify and deal with the issue. Generally, the presence of Type 2 diabetes and large intestine micro-biota has a strong connection. The gut bacteria of people with Type 2 diabetes contain high levels of hostile bacteria, which don’t support your gut health. According to a study in the journal of Nature in 2016, the gut micro-biome may be a promising target for therapeutic intervention in individuals at risk of developing diabetes. The study found the harmful bacteria action on the gut flora leads to insulin resistance that is a precursor to developing Type 2 diabetes. Bad breath is another sign of an unhealthy gut. Typically, a microbial imbalance (dysbiosis) in the gut can result in the growth and development of harmful bacteria in your mouth, which contributes to bad breath. This bad breath type is difficult to treat with maintaining proper oral hygiene or mouthwash. Apart from that, fluctuations in gut flora will make the body increasingly prone to conditions such as diabetes or kidney disease that also can lead to bad breath. Generally speaking, sudden mood swings, stress, depression, anxiety, and irritability are associated with the gut health. Plus, harmful bacteria present in the intestines yield toxins, which can enter the brain through the bloodstream. Remarkably, these toxins can prevent the production of serotonin as well as other neurotransmitters in the brain and affect your mood negatively. Moreover, 70% of serotonin in the body originates in the gut. According to researchers, gut bacteria may impact levels of intestinal serotonin and have many health effects. Therefore, an imbalance in the gut can affect the serotonin levels in the brain and intestines, which influence your behavior, moods and mental health, and digestive system as well as other cognitive health issues. Stubborn weight is another sign of an unhealthy gut. According to experts, the balance of microbes you have during birth will determine the weight throughout the life. Along with small intestines, high quantities of unhealthy microbes can interrupt the absorption of fat, vitamins, and minerals. You’ll absolutely put on more weight when your body can’t digest and absorb fat ordinarily. Another sign of an unhealthy gut is staying asleep or trouble falling. The gut helps to store and regulate serotonin, which plays an important role in encouraging and regulating sleep patterns. An imbalance of serotonin can lead to difficulty getting to sleep or insomnia. Additionally, the microbial ecosystem shifts circadian rhythms and alerts the sleep-wake cycle of the body. Apart from that, poor sleep quality can also affect the diversity and health of the microbiome. A clear sign of an unhealthy gut is gas, diarrhea, bloating or irregular bowel movements. Digestive discomforts may be severe after having carbohydrate-rich meals. Excess gas can form in the gastrointestinal tract by poorly digested foods. Acid reflux, colitis, irritable bowel disease and inflammatory bowel disease have all been associated with an imbalance in the microbiome of the gut. So, you can remove these discomforts quickly by fixing your gut. Lack of energy is another sign of an unhealthy gut. An unhealthy balance of the gut bacteria can inhibit the body from absorbing the nutrients, leaving you tired throughout the day. Also, an unhealthy gut can be permeable, which means that it will let in toxins via the intestinal walls. Besides, these unhealthy chemicals can affect your energy levels. Generally, the main role of our digestive system is breaking down the food we eat and supplying nutrients to all of the cells of the body. These nutrients are used mainly by the cells for repair, growth, and energy. The absorption of nutrients of the body is impaired when the digestive procedure is insufficient by an imbalance of the bacteria in the gut. Over time, this can lead to nutritional deficiencies. Common deficiencies by an unhealthy gut consist of insufficient levels of vitamins B12, B7, D, and K, and magnesium. Gut health is linked to autoimmune diseases such as rheumatoid arthritis, lupus, and Crohn’s disease. An imbalance of the bacteria in the gut may cause the autoimmune response resulting in inflammation in individuals with autoimmune diseases. - It is best to choose organic food products. - Consume whole, nutritious foods because they will provide the body with the essential nutrients to properly function. - Chew your food thoroughly to induce healthy digestion. - Eat less sugar because sugar can cause the growth of unhealthy gut bacteria. - Keep your body hydrated since this helps to maintain a healthy gut. - Take probiotic supplements or consume more probiotic foods to remain the balance of the gut bacteria. - Try following a gentle detoxification program one time a month to remove an unhealthy gut, causing inflammation. - Quit smoking and stop drinking alcohol.